Bilkis is the founding Director of Transculturalvisions. She is also leading the research strand for Singing Cultures. Bilkis has 20 years experience in the areas of race and diversity spanning policy development, training, casework, consultancy and academic research. Bilkis graduated from Kingston University with a Bsc (Hons) in Sociology and completed her MPhil in Cultural Studies at Middlesex University. She worked as a Race Equality Officer for three years for Barking & Dagenham Racial Equality Council. She then held a research studentship at the British Film Institute and Middlesex University including part-time lecturing on the undergraduate Cultural Studies programme. As a freelance consultant Bilkis has led a number of initiatives for various organisations. She was the Managing Consultant to deliver a programme to improve diversity within the monitoring and recruitment practices of Independent Monitoring Boards of prisons in England and Wales. She led an Arts Council and GLA initiative to improve diversity within the boards of mainstream arts organisations (including Rambert Dance Company, Spitalfields Festival, Philharmonia Orchestra, Tricycle Theatre, The Photographers’ Gallery, and Action Space). Bilkis has also undertaken consultancy work for Merton Council – to define remit and structure of a new Race Equality Partnership; The Listening Zone – to promote mental health services amongst black and minority ethnic communities; and Kingston Council – to involve local communities in the development of council services. 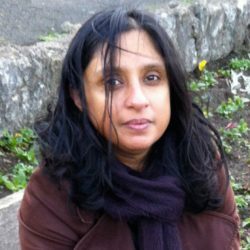 Bilkis’ published essays on culture and identity include ‘Rethinking Segregation’ for Issue 34 of Soundings; ‘Not Such Tolerant Times’ for the book Young Britain; ‘A Game of Two Halves’ for Issue 10 of Soundings; and ‘South Asian Femininity at Home on the ‘English’ Seaside’ for the book Revisions of Englishness. Bilkis has held several non-executive posts. She has been a trustee of the Spitalfields Festival; a member of the Independent Monitoring Board of Brixton prison; a trustee of the Amiel Melburn Trust; and a governor of Barking College. 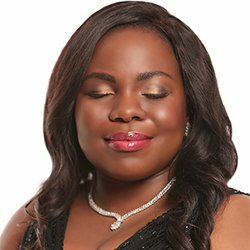 Victoria is an acclaimed soprano and vocal coach. She is leading the artistic strand for Phase 2 of Singing Cultures. (Phase 1 was led by Juwon Ogungbe www.juwonogungbe.com). Victoria’s early childhood was in Nigeria where she first developed her talent for singing, performing at national charity events at the National Art Theatre and MUSON Centre in Lagos. She moved to England to study A levels at RNIB New College Worcester where she also started classical singing lessons. She gave recitals and performed with the college choir at venues like Birmingham Symphony Hall, Worcester Cathedral, Huntingdon Hall and Eastnor Castle. Victoria went on to Trinity Laban studying under Professors John Wakefield, Robert Aldwinkle, and Linda Hirst and performed works like Britten’s War Requiem, Tippet’s Child of Our Time, and Tallis’s Speminalium. She obtained her Bachelors of Music and Postgraduate Diploma with distinction. In her postgraduate years Victoria also developed as an opera singer. Her opera roles have included ‘Soeur Mathilde’ in Poulenc’s Dialogue des Carmelites; first soprano chorus in Bizet’s Carmen; and ‘Mrs. Peachum’ in Kurt Weill’s Threepenny Opera. Victoria’s versatile repertoire includes art songs, operatic arias, traditional African folksongs and jazz. Her voice has graced such venues as Royal Festival Hall, Colston Hall and Queen Elizabeth Olympic Park. Career highlights have included singing at the Heritage Flame Event for the Paralympic torch in 2016; dueting with Jarvis Cocker for the BBC6 Music Festival; performing Terry Riley’s in C with the British ParaOrchestra; and the Liberty Festival 2016. Victoria performs regularly with Composer and Pianist, Kevin Satizabal who is the resident pianist for Phase 2 of Singing Cultures. She is a singing teacher and vocal workshop leader and is an inspiring mentor to young musicians.